We are passionate about the most important buildings in the world: our homes. There are few things that have a more powerful effect on us than re-thinking the spaces where we spend the majority of our time. When a house or home extension is designed to our specific needs the experience is pure delight, day in, day out. 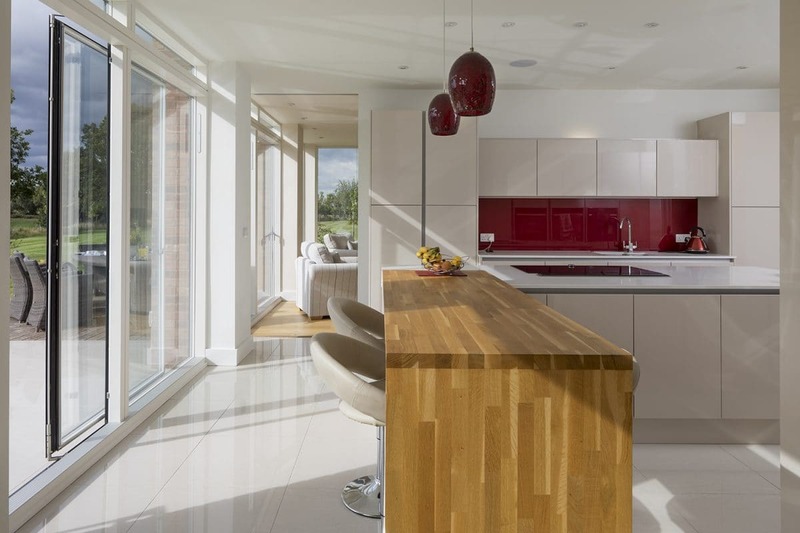 We work closely with our clients to develop homes and home extensions that are centred around their needs and dreams. Jenny and John loved where they lived and did not want to move, but their home was not meeting the needs of their family life. They wanted to create a home where they could comfortably spend time together, invite friends over more frequently and easily and work from home more productively. Working together, we developed a solution that was unique to their home and their needs. It involved removing an ageing conservatory and part of the back wall of the house. 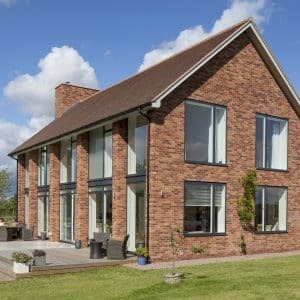 This enabled them to build a stone and timber extension with two glass walls that lets light into the back of the house and creates a large open plan living space. The extension allowed them to make the kitchen a lot larger. We moved the dining table out of the kitchen into the new extension, which draws people to it. The new space includes a home cinema to allow the family to watch films together. Before carrying out the project, Jenny and John had considered moving house. However, they soon recognised that there was little on the market that suited them and they wanted to stay in their current community so they invested in their existing home instead. This has not only provided the space they now enjoy every day, but the value can also be realised at sale. Vel and Simon had lived in a house on four acres of land, which included an old orchard, for over 20 years. The site had always seemed to offer scope to build another property and help the couple maximise the value of their land. However its rural location meant that, when they enquired about the possibility of planning permission, they were always told it would not be granted. Communion advised Vel and Simon that temporary changes to planning law in 2012 meant that their dream of building a property on their land might at last be possible. Our application was successful and permission was granted to build a detached home with sustainable credentials that respected the character of the area. 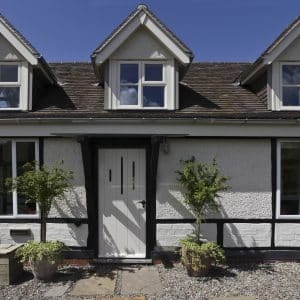 We then worked closely with the couple to create the home of their dreams at a cost they were comfortable with. 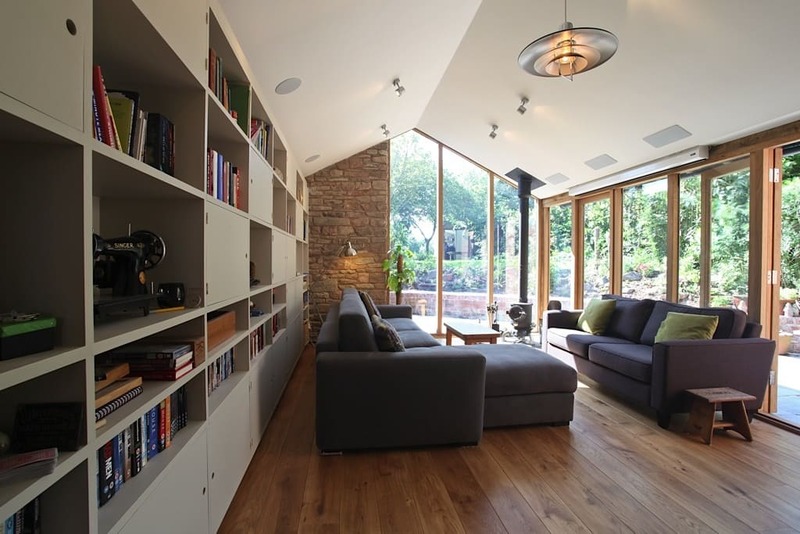 While both wanted a light-filled and spacious home, an open plan layout did not appeal to them. Our solution had a traditional room-based layout but because every room has floor-to-ceiling windows, the house has the airy feel they were looking for and enjoys expansive views of the Worcestershire countryside. Vel and Simon are delighted with their new house. It has allowed them to realise the value of the land they owned as well as creating a dream home for them to live in. We will work closely with you to develop a design that is centred around your needs and dreams. We also recognise that you are busy and are likely to need someone to handle the practicalities. We do this through our Five Stage process. We steer the project through the planning process, budget the work, source contractors, manage the build phase, ensure all regulations are met and undertake snagging at the end of the process. 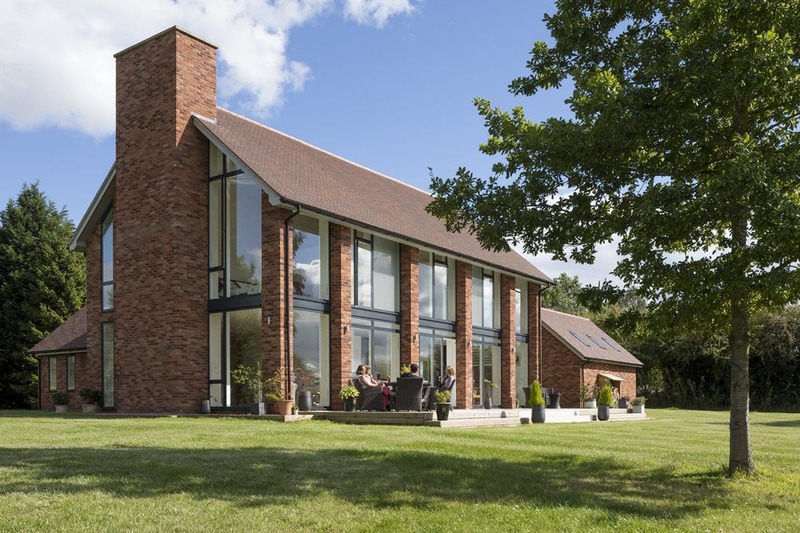 Our role means you create value that can be realised at sale, keep control of your budget and attain the high quality finish you expect from an architect-designed home. 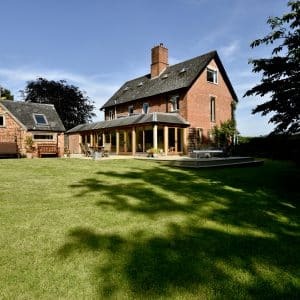 Explore our New Builds & House Extensions Portfolio or read more about working with an architect. Still in the ideas phase?